So, after yesterday's dramatic look i decided to go neutral , this look is also my go to everyday makeup look, just a basic contoured eye makeup. Today while getting ready i tried to take some pictures for a pictorial... not very pleased with the output but you can atleast have an idea on how to achieve this look. 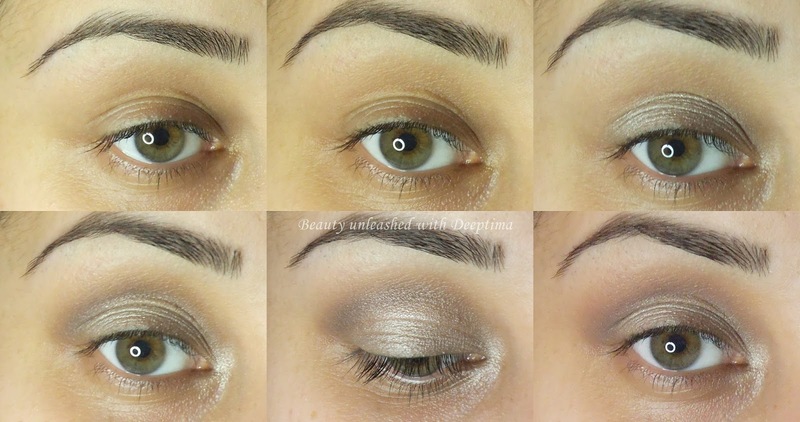 Blend the harsh brown eyeshadow with light brown eyeshadow and add highlight. I hope you guys liked the look... what you wanna see tomorrow ?? Nice.. good for everyday wear.